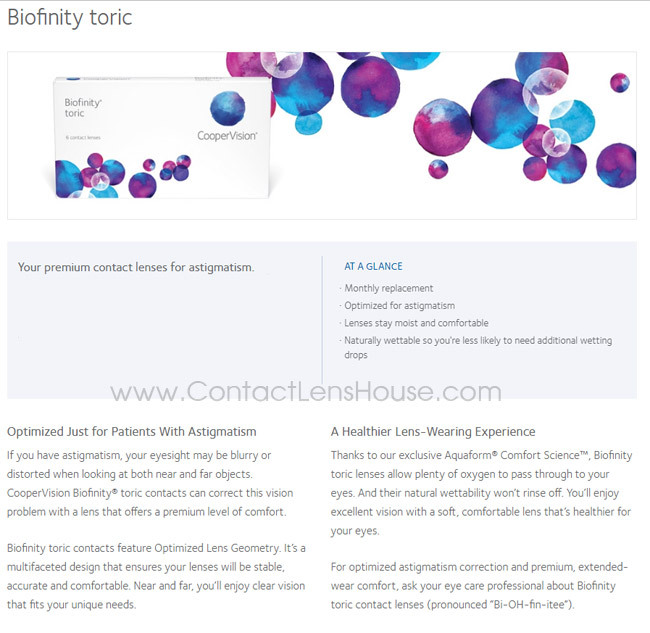 Thanks to the exclusive Aquaform® Comfort Science™, Biofinity toric lenses allow plenty of oxygen to pass through to your eyes. And their natural wettability won’t rinse off. You’ll enjoy excellent vision with a soft, comfortable lens that’s healthier for your eyes.